Freedom and Unity. Vermont, naturally! The state of Vermont is located in the northeastern United States in the New England area. This small state was ranked as one of the safest states in the nation, and it is the leading producer of Maple Syrup. This state is the second-smallest state by its population, and it is also the sixth smallest state by total land area in the nation. Originally founded as the Vermont Republic in 1777, the Republic lasted for fourteen years. Vermont also became the fourteenth state to join the Union and the first state after the original thirteen colonies. It is also one of only four states that can claim to previously be a sovereign state. 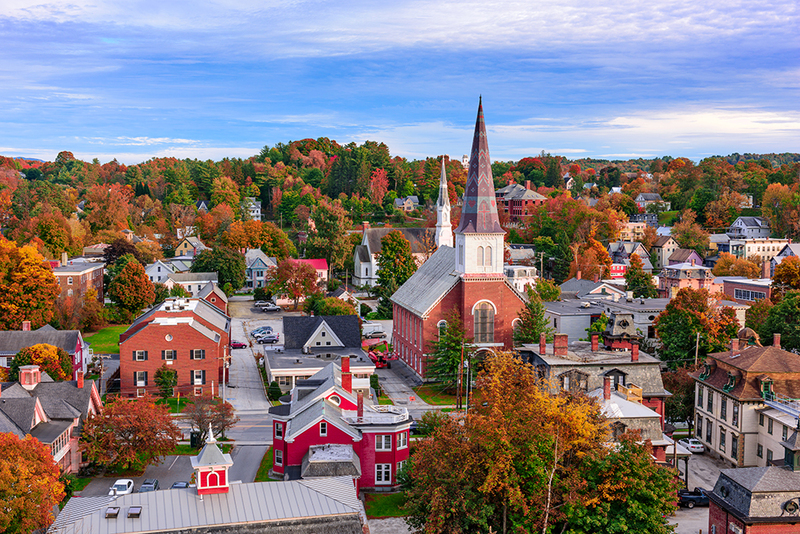 Vermont is home to several small cities, and it has a diverse economy. Every small city and town has an identity, and this is what people like. You can choose to live in one of the cities or away in one of the smaller towns. The tight-knit communities appeal to people, and a lot of them are a short drive away from a larger city so they can commute to work easier. Vermont as a whole has a more laid back feel that people seem to like. You'll get a small town vibe from the state, with friendly people no matter where you choose to live. This same small town feel attracts many tourists each year. 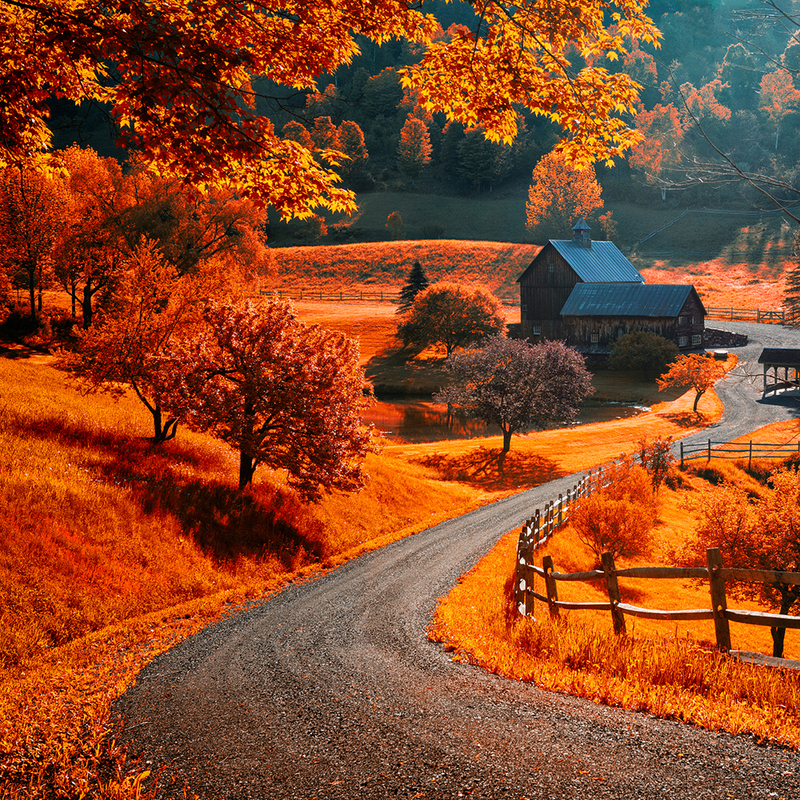 Vermont is one of the smaller states by land mass in the United States. In fact, it is ranked 43rd in the United States. Not only is it one of the smallest by land mass, Vermont is second only to Wyoming as the least populated state in the country. Vermont has a median income of $60,837 and has a large population of college educated individuals. Most of its residents are employed in government, education, real estate and health care. Maple syrup and wine are two of the great commodities produced in the area. Fourteen wineries are available in the area and a quarter of the country’s maple syrup is produced in Vermont. People move to Vermont for several reasons. The state was one of the first to legalize gay marriage, and it has the second-largest LGBT population in the nation. It is also home to several large companies, and it has a very government-based economy which draws people looking for long-term employment with the opportunity to advance in their careers. Additionally, Vermont is home to several top-ranked colleges and universities that draws college-aged people. The change of lifestyle also draws people as the state is full of gorgeous scenery, a slower pace, and a more laid-back mindset. People also move from Vermont for several good reasons. Although the economy is diverse, it hasn't shown much growth over the past few years, and this can drive people away in search of jobs. People also want to experience the faster-paced life they'll find in bigger cities, so they leave. The cost of living is higher in Vermont as well, and this may drive people away once they've graduated or if they simply want a change. Vermont also has one of the top ten highest property taxes rates in the national, and this can lead people to leave. People who are at the end of their careers or people who have spent the majority of their lives in bigger cities and wanted a change find Vermont very attractive. Also, people who like year-round outdoor recreational activities like to live in this state as it has several things to do year-round thanks to the surrounding hills, dense forests, and more rural areas. College kids may also find the area attractive as there are several top-ranked colleges here for them to attend. Vermont real estate prices are slightly higher than the national average. Homes, in some instances, may cost more than comparable homes in other parts of the nation with equivalent square footage and more amenities. Vermont was one state that survived very well throughout the period of the real estate market collapse. The second quarter of 2006 was when the market first began to show slight signs that it was in trouble. The market had previously been on a steady rise, and at this point, it leveled out to a long plateau and gradually stopped rising. This plateau continued until the first quarter of 2008 when it climbed into a slight peak. This peak fell away, and the market began on a very gradual descent. There was another slight peak in the first quarter of 2009, but this leveled off and kept dropping quickly. The fourth quarter of 2010 saw the market go into another slight peak before dropping to the lowest point. The second quarter of 2011 brought the lowest point which quickly rebounded into another plateau. The plateau ended in the first quarter of 2013, and the market experienced a very short drop. This drop also rebounded quickly, and the market resumed its very gradual climb. The third quarter of 2013 brought another slight peak and a drop that again recovered quickly. This pattern continued with the last peak and drop happening in the third and fourth quarters of 2016. As of the second quarter of 2017, the housing market was above its pre-crash levels. The Burlington-South Burlington Meto also fared well during the housing market collapse. However, this Metro's housing market didn't really experience warning signs that the market was in trouble until the first quarter of 2007 when it went from a gradual climb to a peak that dropped off into a plateau. The second to the fourth quarter of 2007 stayed at a low plateau before rising into another slight peak in the first quarter of 2008. After this peak, the market began a gradual descent that was very similar to Vermont's real estate market as a whole. It had a slight peak in the first quarter of 2009 that dropped to a low plateau. This plateau continued until the market hit the lowest point in the first quarter of 2011. Once the lowest point came, the market went on a very gradual rise. From the fourth quarter of 2011 until the first quarter of 2014, the market didn't rise or fall significantly. It stayed around the same prices until 2014 came. Once 2014 came, the market spent the first half on a peak that dropped back down by the end of 2014. 2015 had a similar pattern with an early rise and a slight plateau that dropped slightly by the end of the year. The first three quarters of 2016 were spent on a steady rise that hit a plateau for the first half of 2017. The market is currently on the rise, and the numbers have been higher than they were prior to the housing market collapse since the first quarter of 2015. As for historical real estate trends, both the state of Vermont and the Burlington-South Burlington Metro had very similar experiences. The start of the 1990s brought a period of stability with no significant rises or falls, and this lasted uninterruptedly until the first quarter of 1994 when the market saw a very slight rise. This dropped away quickly, and the market fell slightly during the first quarter of 1995. This rebounded into another peak during the first quarter of 1996. This peak fell away as well, and the rest of 1996 was spent on a very slight downward pattern. During 1997 and 1998, the market saw two slight peaks and falls that leveled out until the third quarter of 1998. Once 1998 came around, the market started to climb. This steady climb lasted through the start of the 2000s until the third quarter of 2002 when the market began to lag. While it was still moving upwards, it was doing so at a much slower pace. This continued until the end of 2003 when the market went into a peak. This peak was followed by another lag that peaked again in the third quarter of 2004. This peak leveled off into a more gradual climb that continued until the market began showing signs of trouble during the second quarter of 2006. Homeownership across the state has ranged between 68% and 75% over the past 30 years. For most of the 1990s it ranged tightly between 69% to 70%, but after falling to 68.7% in 2000 ownership grew to 74.2% by 2005. In 2008 ownership dipped to 72.8%, but reached a high of 74.6% in 2011. In 2016 ownership stood at 71.3% compared to a national average of 63.4%. Vermont's cities have all experienced growth over the past few years, but they still remain smaller than the average size. These cities all have distinct personalities that draw people to them, and they maintain their smaller town feel that many people find desirable. 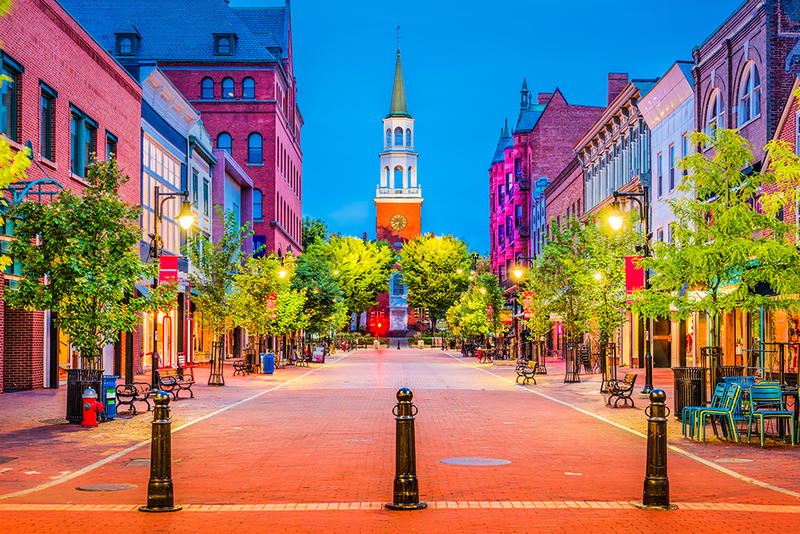 Vermont's biggest city is Burlington, and it is classified as a regional college town with many younger people flocking here from May to September. The population as of 2016 was 42,260 people, and it is part of the bigger Burlington-South Burlington Metro that has a population of 217,365 people. This city became the first city in the nation to be run entirely by renewable energy. 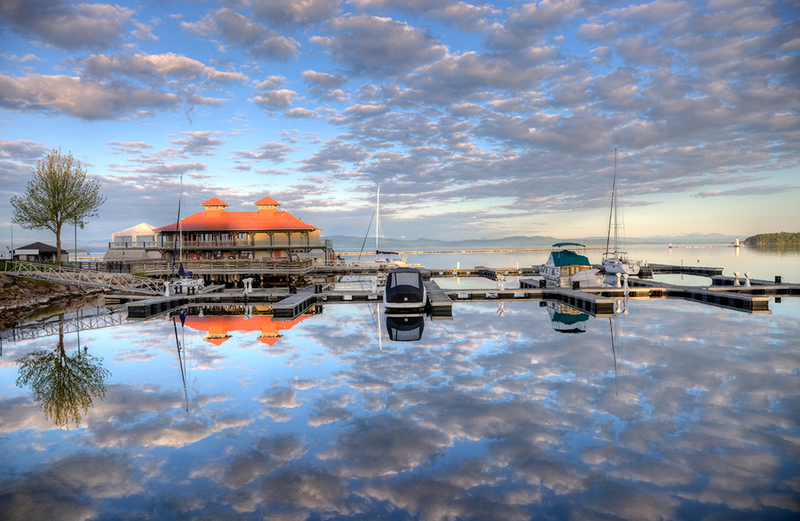 Burlington has the nickname of “The Queen City,” and it was ranked as one of the prettiest cities in the United States. Burlington has a humid continental climate, and this means that the city experiences very cold, snowy winters and very humid, hot summers. As Burlington is located close to Lake Champlain, this accounts for some of the harsher winter storms that drop over a foot of snow. June is usually the hottest month of the year with temperatures in the 80s and very high humidity. January is typically the coldest month with temperatures around the freezing mark. The city has a history of supporting various art and music scenes, and this continues today. The South End Art Hop showcases over 600 artists each year with over 100 different sites scattered throughout Burlington. The Dragon Boat Festival takes place each year and it draws over 2,000 participants. The Vermont International Film Festival is also held here, and tourists can visit the Ethan Allen Homestead Museum. The Church Street Marketplace has been named one of the Great Public Spaces in America, and this four-block market features dozens of local vendors and art and craft exhibits. Burlington is a college town, and it is home to several universities and colleges, as well as a large public school district. The Burlington School District serves this city, and it has over 5,000 students enrolled. Students can choose to attend the University of Vermont or Champlain College. Additionally, this city is home to one of the most selective medical schools in the nation, the UVM College of Medicine. There are also several satellite campuses and technical colleges available. The economy in this city is very diverse, and the biggest employer is currently the UVM College of Medicine with 1,900 staff members. The second-biggest employer in this city is the Burlington School District with over 1,000 staff. Finally, the employer that rounds of the top three biggest in the city is from the government sector, and the Air National Guard employs over 900 staff. Burlington has an unemployment rate that is currently well below the national average, but this is tempered slightly as there has been very slight job loss in the past year. The economy is looking to grow and strengthen further over the next ten years as Burlington is estimated to add around 36% more jobs. The real estate in Burlington is a mixture of country style homes and modern homes. The prices range from low $100s to $600K. Some have lake and garden views, contemporary features, such as granite counter tops, glass showers, tile inlays, and bamboo floors. This city has a current local median home price of $291,300, and this averages out to a price per square foot of $109. These prices have increased by 5% in the past year, and they're on track to increase by another 1.3% in the next year. The local median home price for the Burlington-South Burlington Metro is $334,950, and this averages out to around $140 per square foot. South Burlington is Vermont's third-biggest city with a population of 18,971. It is part of the Burlington-South Burlington Metro, and the total population of these areas is 217,365 as of 2016. This city was organized around 1785, and the unincorporated village was founded by the city in 1865. This was the same year that Burlington and South Burlington were split, and South Burlington was named a city in 1971. The local economy is very diverse, and it has the headquarters of the ice cream company Ben and Jerry's, as well as large influences from the retail and government sectors. Transportation, healthcare, and education help to balance out the economy, and this resulted in a very stable local economy. It also results in several different job areas to choose from, and they go from minimum wage to higher-paying positions. South Burlington is a city with a humid continental climate zone. This means that the city routinely experiences very humid weather with high temperatures in the summer months with very cold, wet winter months. Springtime is particular sees a high amount of rainfall with very muddy conditions. June and July are the hottest months during the summer with temperatures in the 80s. January and February are the coldest winter months, and they have temperatures in the mid-20s. The University Mall is found in South Burlington, and this is the largest shopping center in the state of Vermont. If you like being outdoors, Red Rocks Park offers several quality walking trails that wind along Lake Champlain. The Shelburne Museum is another popular tourist attraction that features 39 large, open-air buildings and exhibits. There are no colleges or universities located in South Burlington. However, the city is served by the Burlington School District. This 5,000 student district is home to over fifteen different schools ranging from elementary schools to high schools with a few alternative and private schools as well. The largest employer in South Burlington reflects the service-based economy, and it is the University Mall with around 1,600 employees. The second-biggest employer in the city is the headquarters of the Ben and Jerry's ice cream company with 1,200 employees. Finally, the employer who claims the third-biggest spot is the Burlington International Airport with 900 employees. The unemployment rate in South Burlington is way below the national average, and this leads to a strong economy. However, the city hasn't had job growth in the past year, and it has lost a small fraction of its local jobs. Over the next decade, South Burlington is estimating that it'll add 37% more jobs to strengthen the current local economy. This city has a local median home price of $254,900, and this figure averages out to around $196 per square foot. These numbers have experienced an increase over the past year of 3.4%, and they're projected to increase another 1.2% during the coming year. The local median home price for the Burlington-South Burlington Metro is $334,950, and this averages out to around $140 per square foot. Essex claims the second-biggest city in Vermont title with 21,199 people. Essex is home to several large employers and Vermont's busiest Amtrak station. This city was named after the Earl of Essex, and it was incorporated in 1763. Originally, Essex was incorporated to act as a provider of sidewalks, sewers, and water to the local rural villages and towns. Essex's economy is supported by several large companies with help from other sectors like education, transportation, government, healthcare, and retail. All of these sectors work together to give Essex a very stable economy with a broad range of jobs that draw several people to the area each year. Essex also has a humid continental climate zone with very hot summers and very cold winters. The humidity is high year-round, and the rainfall is spread out in the spring and summer months with the spring receiving higher rainfall totals. June brings temperatures in the mid-80s, and January brings temperatures in the low-20s. There are a few cultural points of interest located throughout this city including the Harriet Farnsworth Powell Museum, which is a former two-room schoolhouse. There are several exhibits dedicated to school memorabilia and school items. You can also visit the 1st Republic Brewing Company or the Essex Speedway & Action Center. Essex is served by the Essex Westford School District, and this public school system has more than 4,500 students. There are also a few alternative schools like the Edge Academy to attend. While there are no colleges or universities in Essex, Saint Michael's College is just a short drive away, as is the Community College of Vermont. GlobalFoundries is the biggest employer in Essex, and this large private company has over 1,500 staff members. The second-biggest employer in Essex is the Essex Westford School District with 1,000 staff. Finally, the third-biggest employer in Essex is Essex Junction Station with over 800 people employed. Essex has a very healthy economy with an unemployment rate that is over 4% below the national average. However, it hasn't seen any growth in the past year, and it has lost a slight percentage of its local jobs. Over the next ten years, Essex is estimating that it will add 37% more jobs to the economy, and this should help to strengthen it further as the years go on. The city of Essex has a local median home price of $262,200, and this price works out to around $104 per square foot. In addition to this, these prices have increased over the past year by 0.7%, and they're projected to increase by another 0.5% during the coming year. Vermont's fourth biggest town is Colchester with a population of 17,319 people. This population makes Colchester the most populous city in Chittenden County. 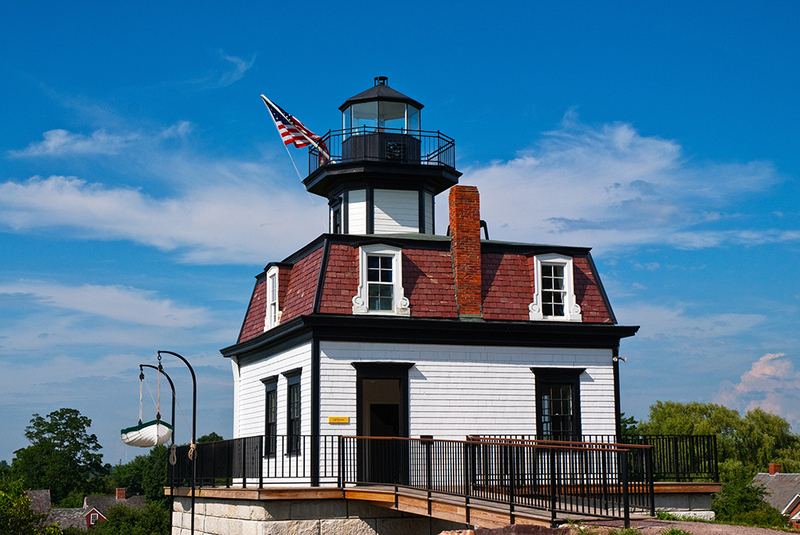 You'll find this city directly north of Burlington on Lake Champlain. In 1763, Colchester was founded and named in honor of the Earl of Colchester. This city lost a large percentage of its population in 1922 when the city of Winooski was founded. The local economy is largely retail-based, and Colchester is ranked as one of the top ten states for retail sales. There are several large shopping centers located in and around this city. The government, tourism, education, and healthcare also make up large portions of the local economy. Colchester also has a humid continental climate, and this contributes to the high humidity the city experiences year round. Lake Champlain plays a big roll in the storms this city has during the winter months, and it also contributes to how cold the winter month can be. The winter temperatures in January are around 20 degrees, and the summer months typically stay around 70 degrees. The Lake Champlain International Father's Day Fishing Derby is an annual event that draws thousands of people to the area. 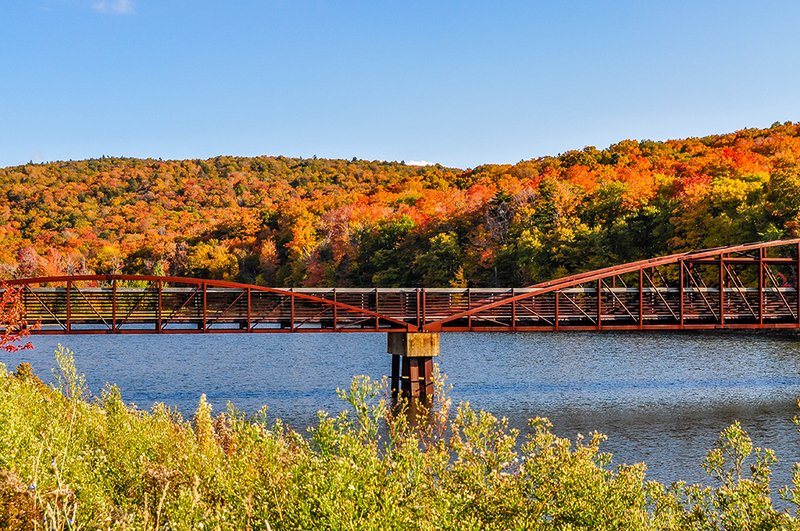 If you like to get outdoors and hike or walk some scenic trails, Niquette Bay State Park is a popular option. Tourists can also visit the Sunset Drive-In Theater. The Colchester School District has over 2,200 students enrolled, and there are a few secondary education institutions located throughout the city as well. Students can attend the first pharmaceutical college in Vermont, the Albany College of Pharmacy and Health Sciences. They can also attend Saint Michael's College or Southern New Hampshire University. The local economy is very strong with an unemployment rate that is well below the national average. It also has projected growth over the next ten years of 36%. The biggest employer is the Vermont National Guard with over 1,900 staff. The second-biggest employer in the city is Saint Michael's College with 1,500 staff members. Finally, the city's third-biggest employer is the Colchester School District with 900 staff. The local median home price for this city is $271,600, and this comes out to around $150 per square foot. Both of these prices have increased over the past year by 1.1%, and they're estimated to increase by another 0.8% in the coming year. Rutland is the second fastest growing city in Vermont and is home to approximately 16,800 residents. The growth in this area is in part due to the resort community. Many people come to Vermont to experience the Okemo Resort, Killington Mountain Ski Resort, and Quechee Gorge. Real estate in Rutland ranges in price from the low $100s to $500K. The homes are mostly New England style country homes. Some feature modern amenities, but most are standard. Most of the homes on the market are older homes. Since the population is small, there are only approximately 40 recently added homes on the market and 400 in total. However, the city is still growing. Many of the homes for sale were built before the 1950s; therefore, they are more traditional like the Victorian style homes. Many of the homes have more rooms than the average home buyer would receive in a more modern home for less money. Therefore, if the consumer enjoys the style of that era, this may be a great place to purchase a home. The home prices range from the low $100s to $400K. In some instances, a potential home buyer can find a 5,500 square foot Victorian Style home with seven bedrooms and 4.5 baths for less than $200K. A home of this type is typically built in the late 1800s or early 1900s. The capital of Vermont is home to approximately 7,800 residents, making it one of the least populated state capitals across the nation. Because of its small population, Montpelier has won the award for the smallest capital city within the United States. The New England Culinary Institute is located in Montpelier, as well as, galleries, theatres, and museums. The median price of homes in Montpelier is $220,000, and the median sale price is approximately $247,000. Most of the homes are single family homes and a few are condos. There are not many homes on the market in Montpelier. However, consumers may still find a good buy. According to the United States Census an estimated 624,594 people live in the state of Vermont. The state has 9,216.66 mi² of land area, which gave it a population density of 67.77 per mi². Here is a list of cities, towns, villages & Census Designated Places across the state, with their estimated population as of June 2016 & the 2010 United States Census. For towns with fewer than 5,000 residents & Census Designated Places (CDP) where there was no population estimate available for 2016, the 2011-2015 American Community Survey 5-Year Estimates data was used. As of 2019 the conforming loan limit across the United States is set to $484,350, with a ceiling of 150% that amount in areas where median home values are higher. High local affordability makes the $484,350 ceiling apply statewide for single unit homes. Dual unit homes have a limit of $620,200, triple unit homes have a limit of $749,650 & quadruple unit homes have a limit of $931,600. Residents buying premium properties in Burlington may be above these thresholds, requiring a jumbo loan. Jumbo loans typically have a slightly higher rate of interest than conforming mortgages, though spreads vary based on credit market conditions. Several different types of home loans are available in the Green Mountain State. Fixed-rate loans are very common, and the terms include thirty, twenty, fifteen, and ten years. The longer the life of the mortgage, the lower the monthly payment will be, which is why the 30-year loan is the most popular. The downside of this, however, is that the APR is higher compared to shorter-term loans. The difference can be as large as a full percentage point. A few lenders in the Green Mountain State offer interest-only loans, but usually only for periods of three years. These are mortgages where payments are applied only to interest for a period of time. The loan's principal isn't paid down, so the monthly payments are very low. The low monthly payments only lasts a few years, however. Typically, it's about three years. After this period, monthly payments spike because the loan's principal hasn't been reduced & the remainder of the loan must be paid off in a compressed period of time. For example, on a 3 year IO 30-year loan, the first 3 years are interest only payments, then the loan principal must be paid in full in the subsequent 27 years. When qualifying for a loan, a credit score of 720 or better can help secure a favorable loan. The best rates and deals will be obtained with a score above 740. There is a lot of competition among lenders, and this environment can create nice perks for borrowers. For example, some banks will offer special deals on closing costs for borrowers who qualify. The cost might be added to the mortgage or the bank will pay the closing costs but add a few basis points to the APR. The MOVE Mortgage Program is administered through the Vermont Housing Finance Agency, and it is designed to help its applicants get a home loan with lower interest rates. Applicants are not restricted to first-time homebuyers, but there are eligibility requirements and restrictions they have to meet including county-specific income limits and home purchase price limits. Homeowner's insurance policies typically do not cover flooding. Most of the state of Vermont has a very low to moderate risk of flooding. Here is county-by-county classification. Most of the state has a very low eathquake risk, while the central portion of Vermont & the southeastern tip of the state have a low earthquake risk. Standard rental and homeowner insurance policies typically do not cover earthquake damage, though they usually cover losses caused by fires which resulted from an earthquake. You can supplement your homeowner's insurance with an earthquake policy. Vermont is the fifth-highest state for property tax rates in the United States. In 2016 the average Vermont assessment rate was 2.02% while the national average assessment was 1.24%. As a statewide average, property owners pay $3,444 per year, per property. This number averages out to be around 5.55% of the property owner's annual income, and this is the third-highest in the nation. The county that collects the highest property taxes in Vermont is Chittenden County with $4,096 per year. The county that collects the lowest amount of property taxes is Essex County with $1,727 per year. The median single-family home costs $255,242, which yields an annual assessment of $5,150. In Burlington the average assessment for single-family homes was $5,604. Homestead laws work to prevent a homeowner from becoming homeless in the event the homeowner suffers from financial hardship or if the homeowner has to declare bankruptcy. A homestead is defined as a home or mobile home along with the property it sits on. Vermont has a generous Homestead law, and property owners may declare up to $125,000 in property as exempt. The person who declares the homestead must occupy the residence as their primary home, and the debtor is the one who decides which part of the property counts as the homestead if it exceeds the $125,000 maximum cap. The property's value is based on the last property assessment value. 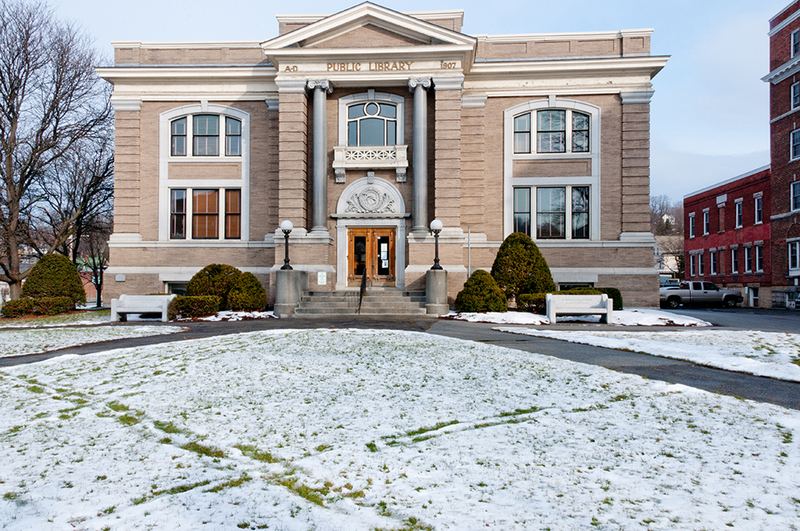 Vermont's mortgage lenders are required to use the judicial foreclosure method on every property that have four units or less and that are owner-occupied. In addition to this, Vermont's foreclosure process typically defaults to the strict foreclosure method. This means that the property title will be transferred directly back to the mortgage lender at the end of the foreclosure process. But the mortgage lender or the court itself can ask to bypass this method and have the property sold at a foreclosure auction. If you are served papers which state you have a right to mediation you should fill in your information and send it to the court right away, as mediation puts the foreclosure on hold. Vermont is also a recourse state with restrictions, and this means the mortgage lender can sue the defaulted borrower for any deficient funds they may incur for the sale of the foreclosed property. During a strict foreclosure, the mortgage lender will file a separate lawsuit to start the deficiency judgment process. During a foreclosure sale, the court may allow the mortgage lender to sue for any deficient funds, but the mortgage lender has to include this in their initial foreclosure lawsuit for it to be valid. If the defaulted borrower chooses to go through the deed in lieu of foreclosure process, the mortgage lender usually forgives any deficient amount that may result from the lender retaining the property. However, it is a good idea to negotiate for this and have it in writing. 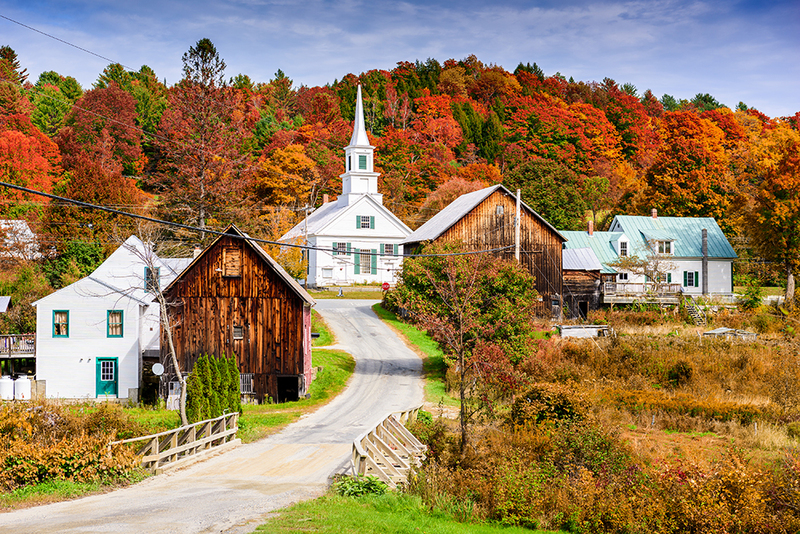 Check out the following resources to learn more about the Vermont real estate market.